The energy that these Higher Realm Spheres exude is simply incredible. 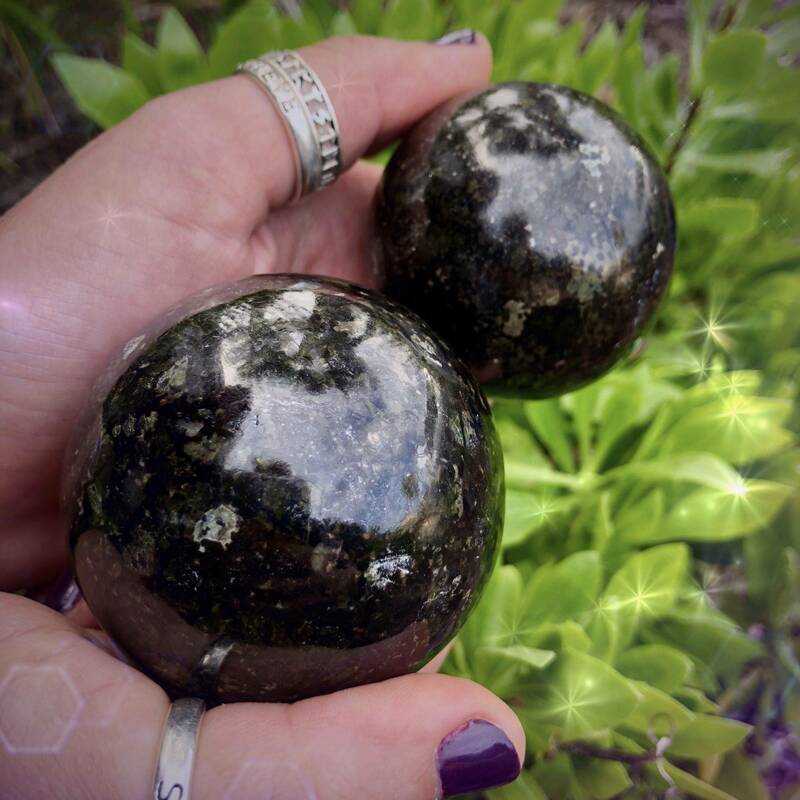 These gorgeous pieces are made of coppernite, a gorgeous stone with extraordinary healing power. 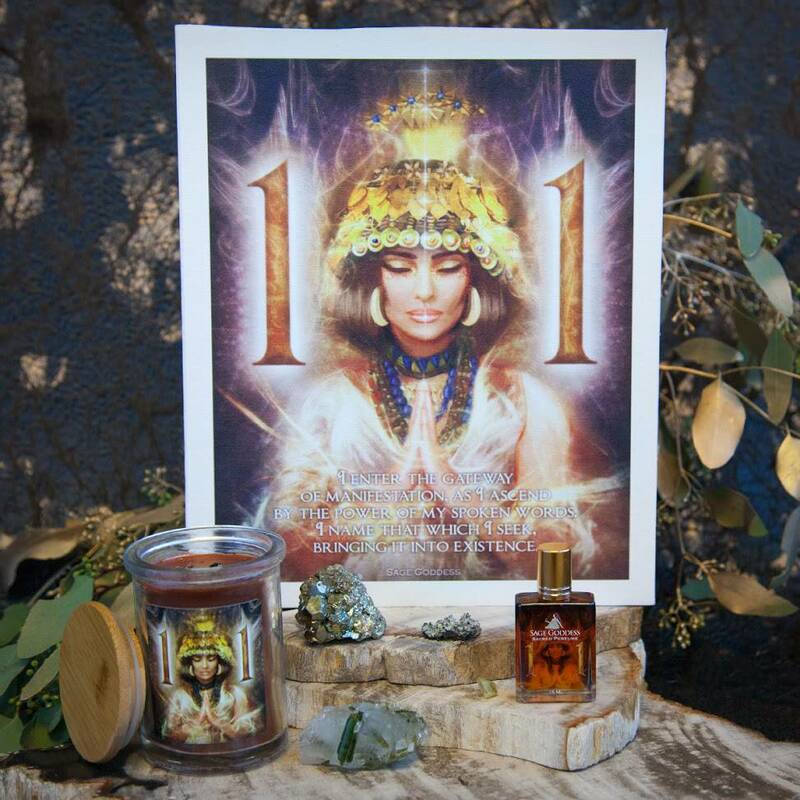 If you wish to balance your spirit and channel powerful spiritual wisdom, look no further: your guide has arrived. 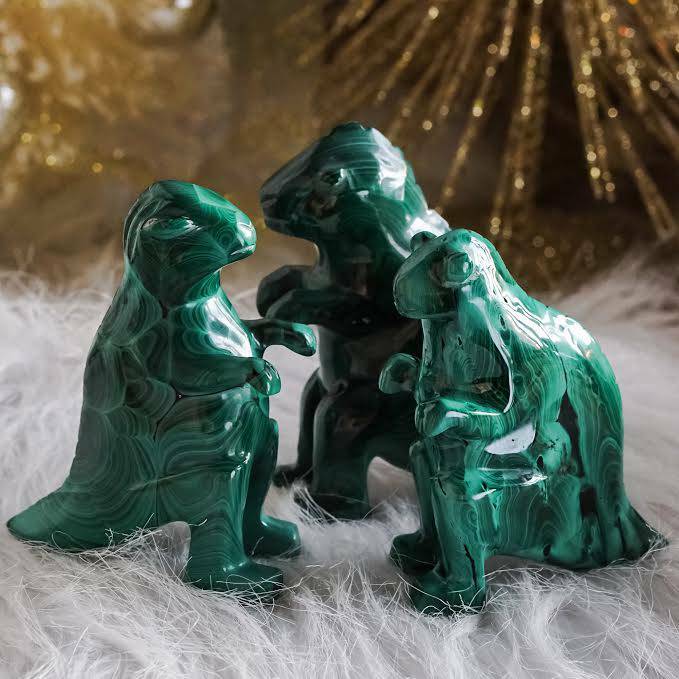 Coppernite is known for its ability to circulate energy, heal relationships, and promote stability. 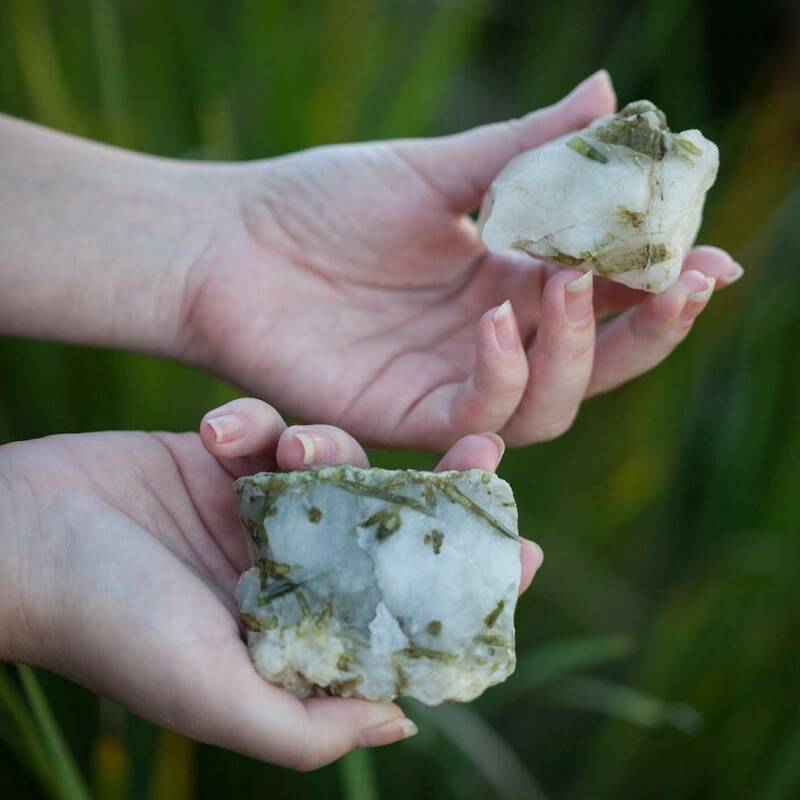 This stone increases vitality and promotes energetic flow whenever you’re feeling stuck or stagnant. 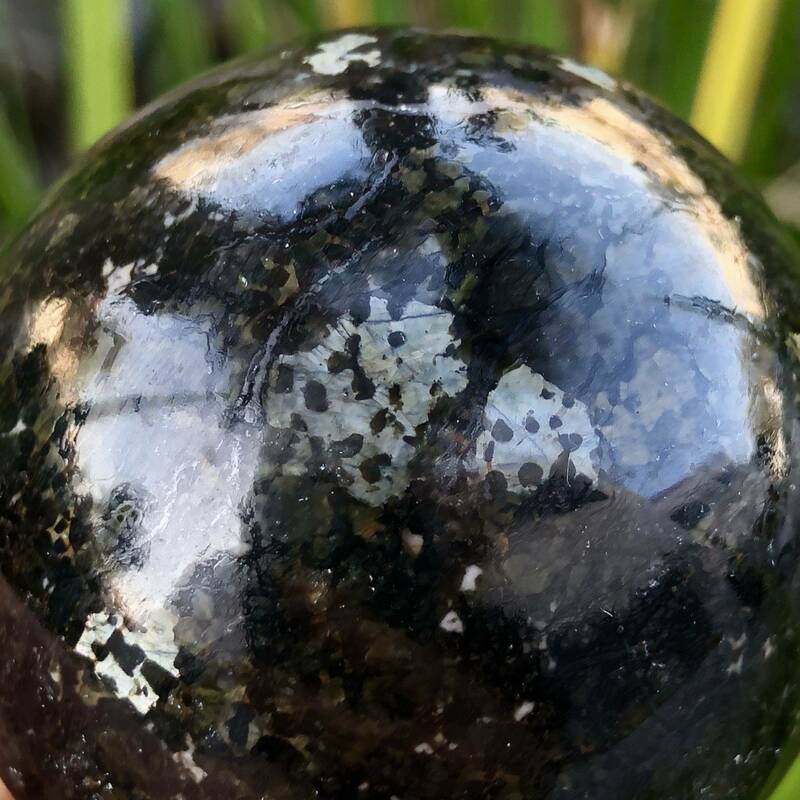 It also helps with magnetic balancing, grounding and purifying your thought process, and channeling information and knowledge from the Higher Realms. When carved into a sphere shape, the magic of coppernite is elevated to all-new levels of power. As you probably know, I am a huge advocate of incorporating sphere power into ritual. Spheres are so beautiful, and at the same time, so powerful. 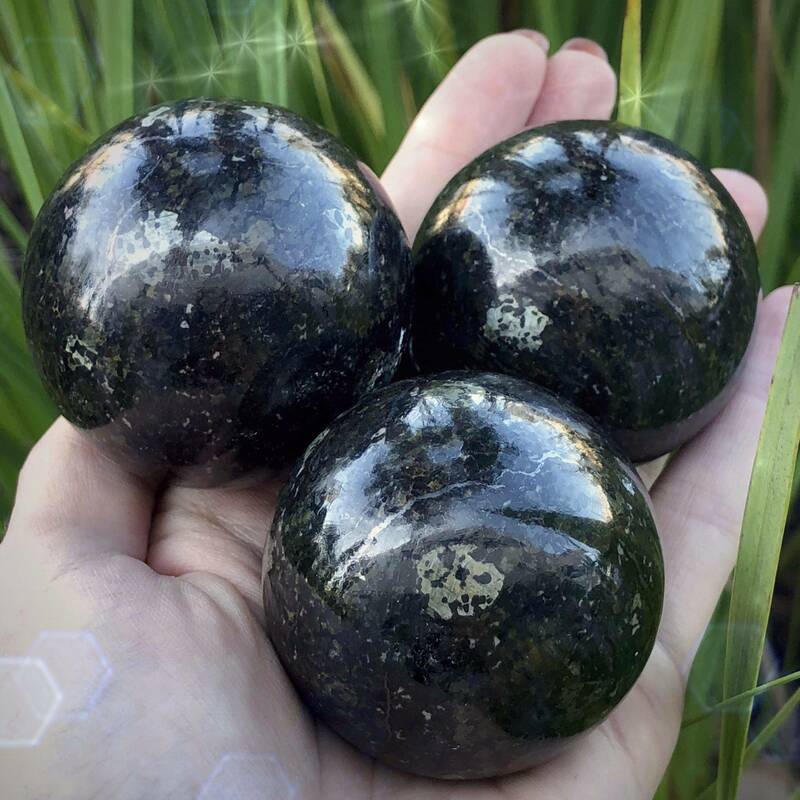 These Higher Realm Spheres radiate their magic in ALL directions, sending out a steady vibrational pulse. 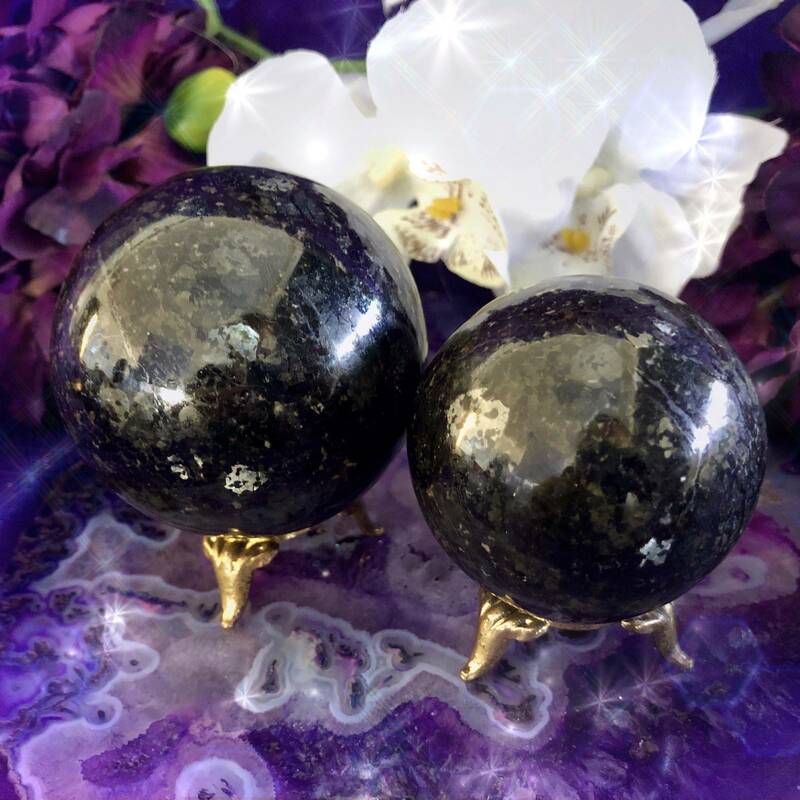 The energy that these spheres will bring to your space is sure to blow you away. This listing is for one (1) Higher Realm Sphere. I have two sizes to offer you: Small (about 1.5-2” in size) and Medium (about 2-2.5” in size). Please choose the size that calls to you from the drop-down menu. Yours will arrive lovingly parceled along with a single leaf of white sage and a card describing the properties of the stone.